How I Met Your Mother has finished its story. And I’m left kind of numb. After nine seasons, we finally know why Ted was telling his kids the story of how he met their mother. It turns out, though, that Penny and Luke didn’t buy his reason for telling their story. Confirming my theory after seeing “Vesuvius,” The Mother had passed away and Ted was really looking for his kids’ approval to ask out their Aunt Robin, who had divorced Barney just three years after their wedding. There were parts of the HIMYM series finale that were beautiful. Any interaction between Ted and The Mother, whose name we now know is Tracy McConnell, especially when she revealed to Ted that they’d have to postpone their wedding since she was pregnant. Watching Barney meet his newborn daughter, Ellie, for the first time was amazingly touching. The very ending of HIMYM felt empty, though. Years ago, I rooted for Ted to wind up with Robin, despite every sign the show gave us that it would be impossible. Seeing a gray-haired Ted hold up that blue french horn outside Robin’s apartment in 2030 was hollow. It wasn’t earned. Over the course of this finale season, HIMYM made us care about Tracy. It made us believe that she and Ted belonged together. It was earned. That’s why it was sad to see HIMYM just brush Tracy away. We didn’t even get to watch Ted fight for her or mourn her. A little bit of catharsis would have been nice here. Maybe I would feel better about The Mother passing away and Ted moving onto Robin if HIMYM gave us the chance to say goodbye to her. The Mother — andCristin Milioti — was the best part of Season 9. Where was our closure? 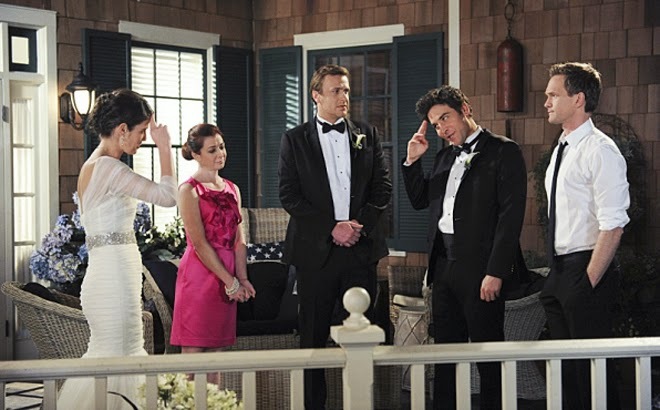 My lukewarm reaction to this finale doesn’t hurt my love for HIMYM. I almost jokingly suggested to one of my friends today that we should just never watch the finale in order to preserve the nine years of memories we have with the show. Those nine years still mean something.